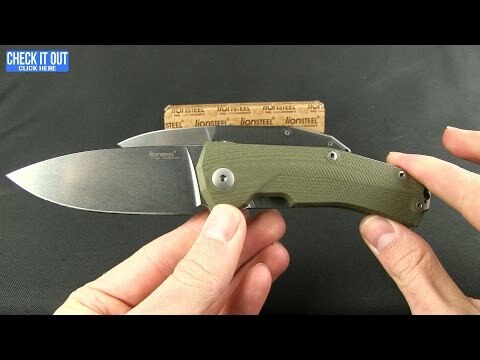 From designer Pensato Michele, aka Molletta, LionSteel presents the KUR folding knife. Not only visually flattering, the KUR offers its user generous comfort and control. The brown G-10 handle scales have a contoured surface with micro ridges. Underneath the scales a steel lock tab and a 6Al4V titanium backspacer provide a robust platform. The KUR has a Sleipner steel blade that's deployed using a flipper opener and rides on a ball-bearing pivot. 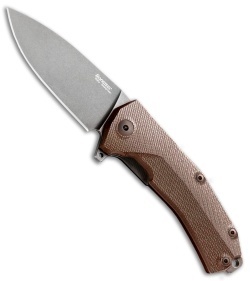 It is a stylish everyday-friendly knife and includes a tip-up carry pocket clip.